Since man evolved on this planet under a canopy of stars we have looked towards the heavens for answers. Over the last few millennia our understanding of the universe had gone from the ancient gods waging war across the sky, to within a breath of the Big Bang. More recently our quest for knowledge has taken us to other planets in our galaxy orbiting distant stars in their hundreds. I remember looking through a telescope at Mars as a child and wondering; do all stars have planets? Are they like our own? And could there be someone out there pondering the same questions from their own world? 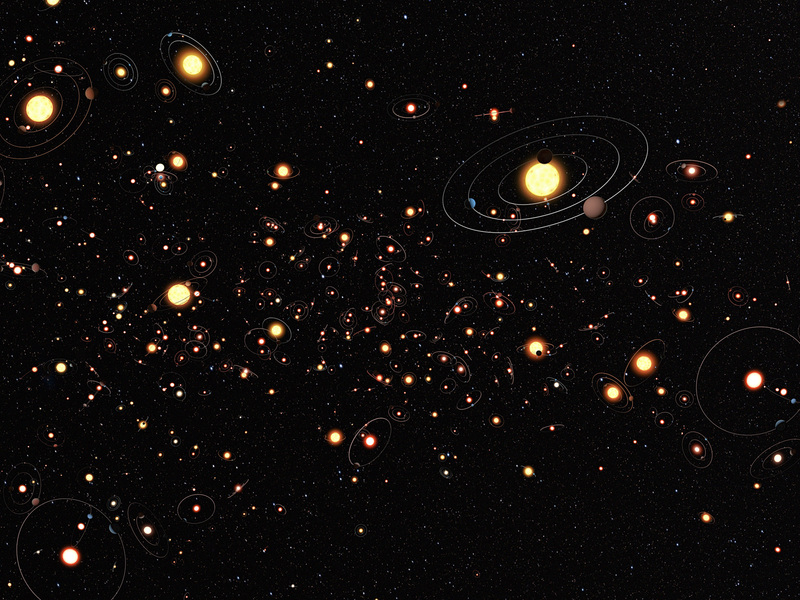 In the last 20 years, well within a majority of our lifetimes, over 700 exoplanets have been discovered. But has the discovery of these planets changed the way we view the Earth, and how might this influence the new generations who will always live in a world where exoplanets are known? The idea of exoplanets has long been in the collective mind-set. In 1732 Voltaire published a short story, Micromégas; it recounts the tale of a being from a planet orbiting Sirius and his companion from Saturn on a visit to Earth. Growing up I was unaware of exoplanet discoveries, however, the idea that they were not out there also never entered my consciousness, mostly thanks to the science fiction I was exposed to as a child. It may seem strange to realize that the original Star Trek or Star Wars was written over 15 years before the first exoplanet was officially discovered in 1992, and we weren’t even looking for it. The first known exoplanet orbits a pulsar, in the constellation Virgo, and was discovered by Aleksander Wolszczan and Dale Frail by observing time differences in the pulsars radiation. A pulsar is a rapidly rotating neutron star that emits a beam of radiation from its magnetic poles as it rotates. We observe this beam much like a ship observing the beam of light from a lighthouse as it rotates into our field of view. The timing of this beam of radiation is very precise, however, small changes were detected in this pulsar and later calculations showed that this was due to a planetary companion in orbit. Its discovery was a surprise as it was not thought that planets would survive the cataclysmic process required to make such an object and only one other planet orbiting a pulsar has been found since. It was not until 1995 that the first planet was found to orbit a main sequence star similar to our Sun. This star can be seen with the naked eye near the constellation Pegasus and is called 51 Pegasi. This discovery presented its own surprises; the planet has a mass of roughly half that of Jupiter, the largest planet in our solar system, yet it is in an orbit that is eight times closer to its star than Mercury is to our Sun. These two discoveries alone sent theorists back to the drawing board with questions such as, how could these systems form, and why is ours so different? Since the first discoveries we have hit a large number of the milestones along the road to answering the big question. Is there another planet like Earth out there? With the aid of space and ground missions such as Kepler and WASP, which catalogue hundreds of thousands of stars, we are building up the observations required to answer this question. At this year’s National Astronomy Meeting held at Manchester University I sat down with Mark McCaughrean, head of ESA’s Research and Scientific Support Department, and asked him how he thought the discovery of exoplanets had changed our views on the Earth and ourselves. 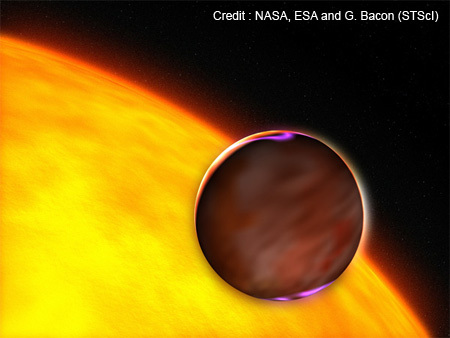 Our understanding of exoplanets and planetary systems has advanced so much in just 20 years. Don Pollacco, Professor of Astrophysics at Queens University Belfast said, “We are still in ‘discovery mode’ but who knows what surprises there are to come!” With future generations born into a world without the hurdle of disbelief to overcome we may be so lucky that the next step of discovery will be within our lifetime and we can see first-hand the paradigm shift such a discovery can have on the human psyche. What do you think, has the discovery of exoplanets changed the way you view the world?